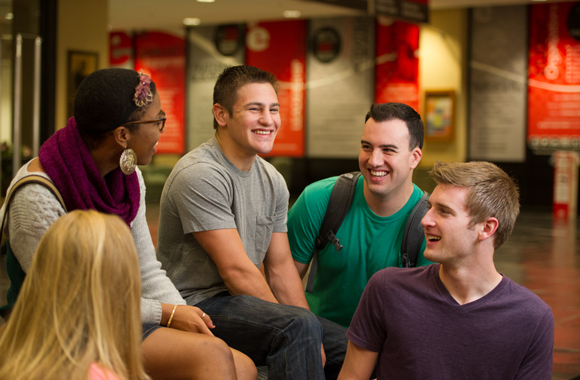 SIUE’s 2016 spring enrollment of 13,346 students is the largest spring enrollment in the University’s history. Traditional undergraduate enrollment is up 281 students or 2.6 percent over last spring. The University has never enrolled more full-time students (10,214) for a spring semester. Nearly 12% of SIUE spring credit hours are being delivered online compared to 8 percent for spring 2015.
International enrollment stands at 425 students, which represents a 5 percent increase over last spring and the highest since spring of 2004. The enrollment increase has had a positive impact on institutional diversity as Hispanic, American Indian, Asian and African-American enrollments have all increased from last spring. Over the past fiscal year, SIUE has developed several new undergraduate and graduate degree options in response to student needs and the ever-changing job market. Healthcare Informatics (offered online to students outside of the original corporate partnership) Are you interested in this master's program? Learn more about an upcoming information session. At the start of the spring 2016 semester, Dunham Hall Theater was transformed into a “smart classroom,” making it the largest classroom space on campus, with seating for up to 372 students. Renovations to the theater include the installation of a tablet desk arm to each seat, a mobile podium and a 20 by 30-foot screen. The projection and sound systems were also upgraded. Additionally, classes began in the University’s first Adaptive Learning Environment (ALe) classroom. The donor-funded, technologically advanced teaching space in Peck Hall allows small student groups to work closely together with faculty by utilizing a flexible learning space, continuous whiteboard throughout the classroom and video projection areas. The Student Fitness Center has been further enhanced with the expansion of its free weight room. The facility has doubled in size, now spanning approximately 7,000 square feet. It features state-of-the-art equipment and fitness amenities. With the support of SIUE Student Government, and approval from the SIU Board of Trustees, the $2.5 million student fee-funded project officially opened in January.